Because allergies may overlap with other medical and non-medical conditions, many people find it frustrating on how to figure out what symptoms relate to an allergy. Conditions that may overlap allergies are irritable bowel syndrome, arthritis, lupus, the common cold, gastro reflux, heartburn, sinus infections and ear problems. Non-medical conditions include skin rashes. It is estimated that over 50 million people have been treated or diagnosed with allergies. Changes in climate and environment alone project there be more people diagnosed with allergies in the future. Allergies have been the cause of absences from school and work more than the common cold. Allergies are the source of sleep deprivation, food avoidance, physical and physiological difficulties. Some individuals believe food allergies are related to the increase in ADD (Attention Deficit Disorder) and ADHD (Attention Deficit and Hyperactivity Disorder). Symptoms caused by or allergic rhinitis are clear nasal discharge, itchy and watery eyes and scratchy throat. Symptoms related to allergic asthma are chest discomfort, wheezing, cough and breathing difficulties. 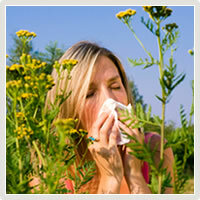 Symptoms related to perennial allergic rhinitis are congestion,, runny nose, itchy and watery eyes and scratchy throat. Symptoms caused by a food allergy are eczema (atopic dermatitis), abdominal pain, bowel irregularities, hives (urticaria) and anaphylaxis (severe reaction). Angioedema is severe swelling of the skin caused by food allergies. 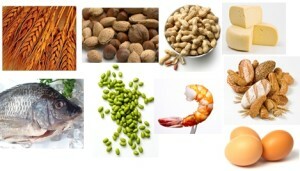 Symptoms of food intolerance (lactose, sugar, fruit, enzyme and vitamin) are considered when diagnosing a food allergy. Dermatitis (atopic and contact) are reactions to food and environmental allergies. The most common triggers: excessive moisture, dust mites, contact with irritants and foods. Irritants are fabrics, soaps, creams, dyes, perfumes plastics and deodorants. Causes of allergic contact dermatitis are poison ivy, nickel, dyes, latex and scents found in soaps. Foods that cause dermatitis are milk, eggs, wheat, tree nuts (including peanuts), soy, fish, shellfish, chocolate, beans and tomatoes. There are several ways (medical and non-medical) to treat dermatitis. Medical therapy includes: antihistamines, creams, and topical corticosteroids. Non-medical therapy involves monitoring the temperature in the house, using a mild soap to bathe and clean hands, keeping fingers short to reduce itching and washing clothes in a mild detergent. Environmental allergies can be traced to dust mites, molds, fungi, cockroaches and animal dander. Hives can be identified as acute, chronic or non-allergic. Acute hives are an immediate reaction to an allergen. The trigger for acute hives are exercise, insect stings, certain foods and viruses. Chronic hives involve a deficiency in the body’s immune system. These hives can be related to immunosuppressive conditions like arthritis and lupus. Non-allergic hives are associated with cold, heat, pregnancy, drugs, and insect bites (mosquitoes and fleas). Symptoms related to drug allergies are hives and angioedema. 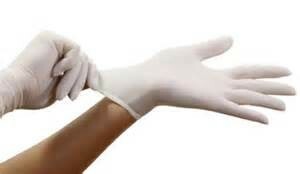 Symptoms related to an latex allergy are itching, swelling, hives, sneezing and breathing difficulties. Symptoms related to insect allergies are swelling in the area of the bite or sting. Possible severe symptoms are hives covering the entire body, tongue swelling, breathing difficulties, nausea and abdominal pain. Severe reactions may have to be treated with epinephrine. Researchers have defined some other basic components of allergens that cause allergic symptoms: amino acids, biochemicals, fatty acids, minerals, phenolics, sugars, Vitamin A, B Vitamins, Vitamin C, and Vitamin A.These components can trigger immune responses in individuals with allergic tendencies.